Close to 41.2 million people in the United States lacked health insurance for all of 2001. 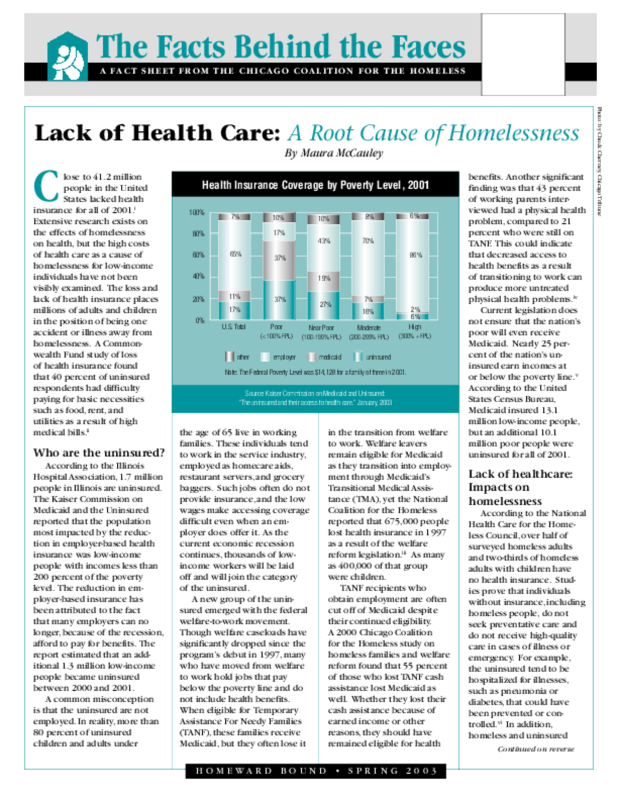 Extensive research exists on the effects of homelessness on health, but the high costs of health care as a cause of homelessness for low-income individuals have not been visibly examined. The loss and lack of health insurance places millions of adults and children in the position of being one accident or illness away from homelessness. A Commonwealth Fund study of loss of health insurance found that 40 percent of uninsured respondents had difficulty paying for basic necessities such as food, rent, and utilities as a result of high medical bills.